Blockchain technology permits new avenues of innovation that were not possible a few years ago. While it may not seem as grand in scale as blockchain’s potential impact on the healthcare industry or the world of finance, granting value to digital assets is more than just a trend. 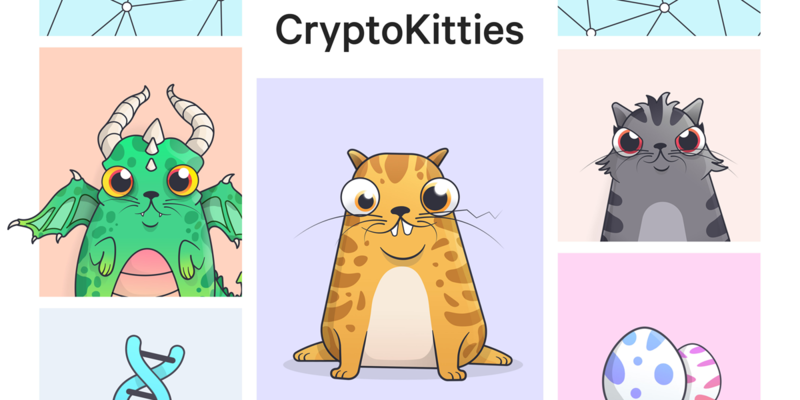 By now, you’ve probably heard of CryptoKitties, a platform where users trade and breed rare digital kittens. In the past, these kittens sold for thousands of dollars, and the platform itself managed to raise $12 million dollars in a recent funding wave. While it may seem absurd for people to care that much about a virtual collectible, there are actually many reasons why these assets have value. CryptoKitties is far from the only operator in this movement, but serves as an illustrative example of the relevancy of digital collectibles. The result of its Vancouver-based parent company, Axiom Zen, CryptoKitties launched in late 2017. Quickly, it took over the Ethereum platform, serving as one of many decentralized application (dApps) built on the network. To-date, CryptoKitties is one of the most famous dApps in the landscape, as the platform managed to attract many advocates with its cute art style and simplicity. Further, headlines of digital kittens selling for hundreds of thousands of dollars were sure to grab the attention of not only industry proponents, but the general public as well. The platform’s popularity left the Ethereum network struggling to deal with the increased volume, slowing transaction times and emphasizing platform issues regarding scaling. At the time of writing, sales of digital kittens managed to surpass millions of dollars in total, leaving some to question why anyone would pay more for a digital kitten than a real cat. Beyond interest from proponents and those hoping to invest directly in digital kittens, CryptoKitties’ developers recently managed to secure $12 million dollars in funding. The funds were sourced from a diverse variety of investors, including venture capital firm Union Square Ventures, Coinbase founder Fred Ehrsam, and Tinder’s Jeff Morris. Aside from just being a popular decentralized game created in a newly emerging industry, investors cited the technology and ‘bigger picture’ behind CryptoKitties as an incentive for them to invest. This topic took the stage at a discussion on day two of Consensus 2018 in a panel called “Brands, Seals, and Crypto Collectibles.” The panel invited CryptoKitties developer Dieter Shirley to join ConsenSys Enterprise director Tyler Mulvihill and VeChain CEO Sunny Lu in a discussion about the industry. All three speakers represented different applications for the anti-fraud opportunities that blockchain technology creates. While CrypoKitties may not currently be utilizing the new innovative platform at the bar of its contemporaries, the platform is illustrating the worth of digital assets in a way that is extremely accessible for the public. One key difference between electronic goods and physical objects is the fact that things stored electronically are extremely easy to duplicate. This has many features in our day-to-day lives. For example, people are able to email copies of documents while still holding on to the original, or store important files in more than one location. However, when you want something to retain its value, like a currency or one-of-a-kind digital collectible, this becomes an issue. With the advent of blockchain, there are now emerging methods of valuing digital assets, as the technology can store information which ensures that the file you’re dealing with is the original and not a duplicate. In the real world, most people are no stranger to collecting items they believe to be valuable, either in the form of a potential return on investment or sentimental value. Blockchain technology is now allowing digital assets to retain similar value to collectibles like baseball cards and beanie babies, and assets like gold. Industry pioneers like Don Tapscott of the Blockchain Research Institute often praise this aspect of blockchain. The Internet of Value, as it is commonly referred to, is the idea that blockchain technology is ushering in a ‘second internet’ where it is now possible to grant value to assets that were previously easy to forge due to their digital nature. Ultimately, CryptoKitties might seem like an insignificant application of this movement, but the popular platform is successfully illustrating why blockchain’s anti-fraud opportunities are so valuable. With blockchain, digital assets cannot be duplicated, can be sold and traded safely online, and can grant value to an entire world of online property. Furthering the public’s education on these blockchain use cases, and incentivizing the public to engage in the blockchain ecosystem, are reasons why CryptoKitties and similar digital collectibles are worth more than just novelty.